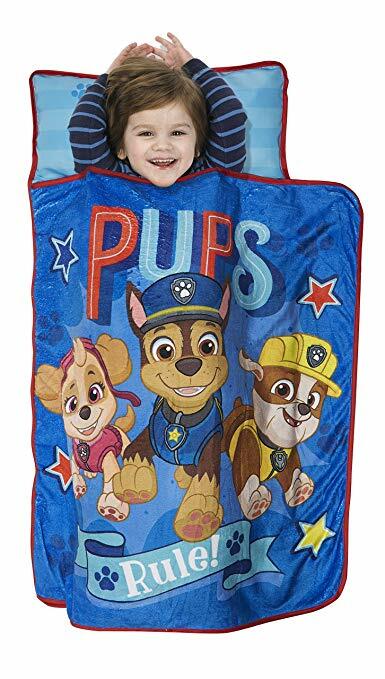 Amazon has Paw Patrol We're A Team Toddler Nap Mats - Including a Pillow & Fleece Blanket on sale for just $12.59 (regularly $19.99). Includes a Pillow, Plush Blanket and Quilted Mat. Rolls up with Velcro Closures and attached carry handle. Paw Patrol "Pups Rule" Theme features Chase, Marshall and Rubble.